We formulate the Potassium Magnesium Sulphate chemical in conformity to the best standards. So, whether it is the formulation or packaging stage, we conquer each stage in the best manner. 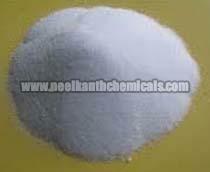 We are one of the renowned Manufacturers, Exporters, and Suppliers of Potassium Magnesium Sulphate. We assure that each physical and chemical aspect of the chemical is exactly the same as desired, making the fertilizer stand out from the rest available to the market.